Prestige TTS Jacket Full Zip Black/Red Includes TBGYFC OR TUFC Embroidered Logo. 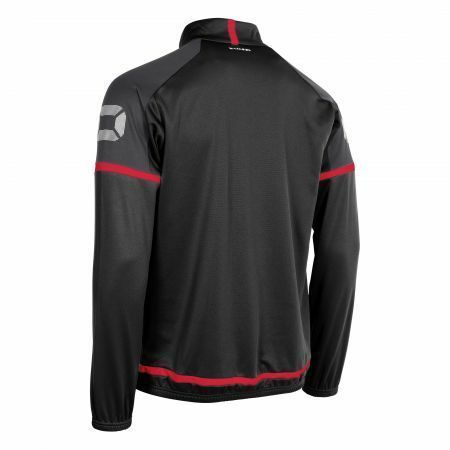 This training jacket with Prestige design features a brushed inner for comfort and warmth. 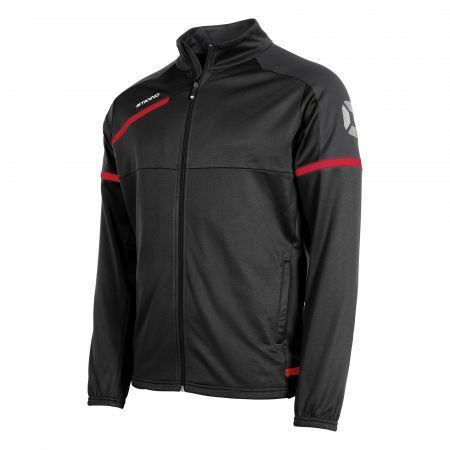 The jacket has a perfect fit, with a full zip, an elasticated hem and cuffs, and a slightly longer back. The design includes tone-on-tone panels on the shoulders and various contrast panels. A zip of high-quality SBS at the front, plus two side pockets with zip.